BATTERIE + EMAH FOX + JAMATAR play the Gasometer Hotel, Collingwood, Melbourne 26th October. 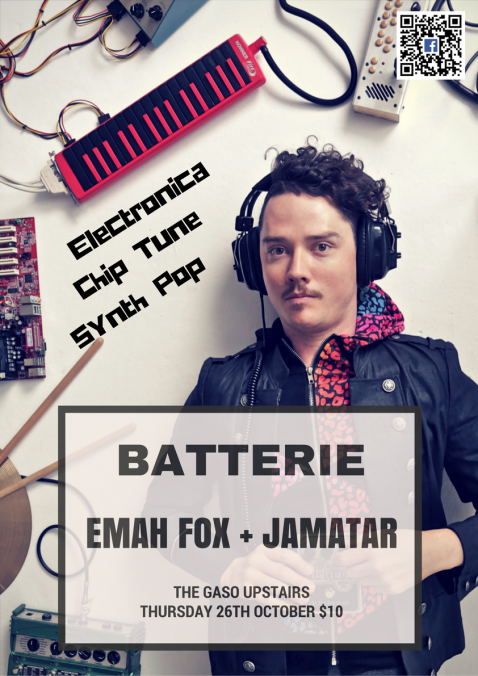 BATTERIE (Jared’s solo electronica act) is excited to be playing a show in Melbourne. With support from two awesome Melbourne electronica acts EMAH FOX & JAMATAR.